Australian Mines Limited has announced that the Company has signed an off-take agreement with SK Innovation for 100% of the expected cobalt sulphate and nickel sulphate production from the Sconi Project for an initial period of 7 years, with an option exercisable by SK Innovation to extend this commodity supply agreement for a further 6 years. SK Holdings listed on the Korean Stock Exchange and is the 57th largest company is the world with annual revenues exceeding US$120 billion. In addition to being the largest energy & chemical company in Korea and second largest semiconductor manufacturer in the world, SK has a long history of successfully developing resource projects. To date, SK has developed 20 oil and gas projects across 11 separate countries as well as building and operating the world’s second largest single-site refinery (being the Ulsan Complex in Korea). SK Innovation has indicated that the cobalt sulphate and nickel sulphate off-take from Sconi appears destined for their newly developed battery manufacturing plant in Hungary and Korea, which services German premium car makers. 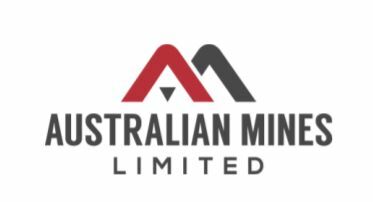 Australian Mines Managing Director Benjamin Bell commented: “The signing of the agreement with SK Innovation is a landmark occasion for Australian Mines and its shareholders. As the only Australian cobalt-nickel-scandium company to have secured an off-take for 100% of its expected cobalt and nickel output, the Company has, once again, demonstrated that the Sconi Project in northern Queensland is the most advanced project of its type in Australia, and that Australian Mines is unequivocally a leader in Australia’s cobalt sector. predominantly for the electric vehicle market. joint development program between Kia and SK Innovation. SK Innovation is also due to bring its second South Korean-based electric vehicle lithium-ion battery production facility12 online in 2018, lifting total production capacity within its home market from 1 to 4 gigawatt-hours (GWh) a year.